To My Betrothed takes as its subject matter the archetypal theme of beauty and the beast. Within a vortex of tangled legs, arms, and other body parts a minotaur-like figure emerges, apparently locked in a wild embrace with a woman whose upside-down head enters the picture at the upper left. 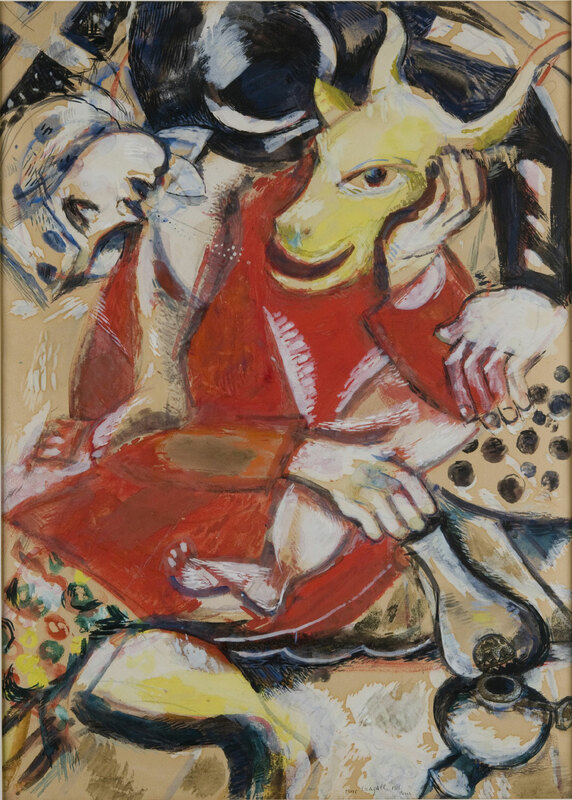 The woman directs a stream of “diabolical spittle” (Chagall’s words) into the mouth of the bull-headed man—a pictorial device that recalls the solidified words that flow from the mouth of the archangel Gabriel to the Virgin Mary in early Italian Renaissance paintings of the Annunciation.